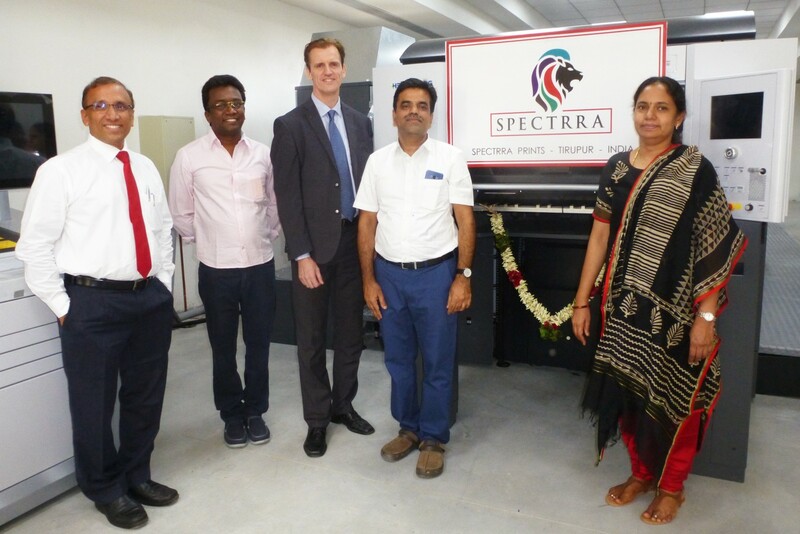 Spectrra Prints based in Tiruppur, Tamil Nadu, installed a brand new, fully-loaded, futuristic Heidelberg Speedmaster XL 75, with Prinect press centre, Intellistart and wall screen option. “The investment in XL-75 strengthens our commitment to serve a diverse client base across various verticals, as we explore a foray into overseas markets. We continue to rely on Heidelberg for quality printing equipment,” states Senthil Kumar, Managing Partner - Spectrra Prints. An offshoot of five-year old JGA Offset printing, Spectrra specializes in carton printing and packaging. “The XL-75’s make-ready can be as less as 2 minutes, with fully-automatic plate changes and the Intellistart 2,” comments Senthil Kumar. The patented assistance system Intellistart 2 automatically generates all the steps required for intelligent job changes and provides maximum transparency across all active and queued processes, including complex make ready procedures. Spectrra’s parent firm JGA Offset Printing owns a Heidelberg SM 52 five-colour and a Heidelberg two-color press to cater to the many garment firms in and around Tirupur. Spectrra is a spin-off from JGA Offset Printing to capitalize on the huge demand for printed products for the garment industry, including tags, labels, wraps, packaging cartons etc. The fully-automated Speedmaster XL 75 minimizes operational footsteps and cuts make-ready & setup times drastically. 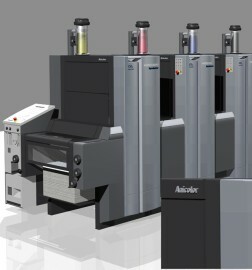 With production speeds of 15,000 sheets per hour, the Speedmaster XL 75 can handle tags, labels and cartons, and any substrate from lightweight paper to board, ranging from 0.0012 - 0.031 inches. Looking ahead, Senthil Kumar envisions significant growth potential for the packaging industry. “In a few years, we expect to expand our infrastructure to cater to other segments of the packaging industry, in addition to deepening our penetration into global markets. 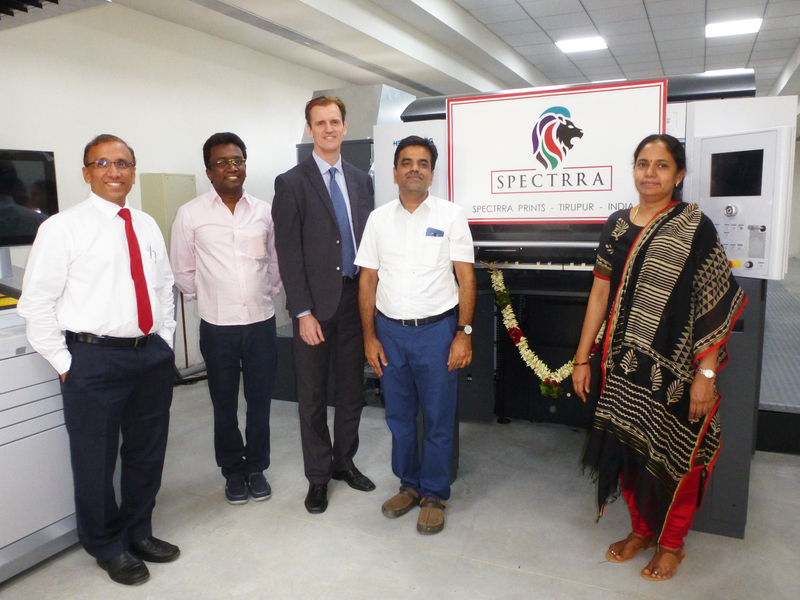 Spectrra Prints is uniquely positioned for continued growth and success, and Heidelberg will be our beacon, as we make progress in our chosen path and priorities,” concludes Senthil Kumar.